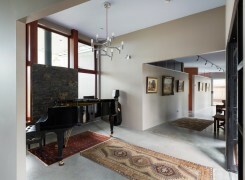 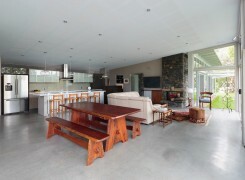 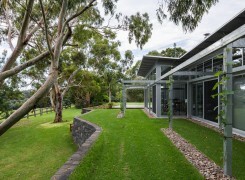 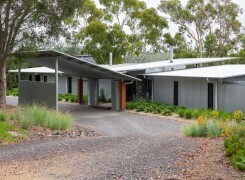 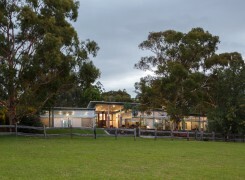 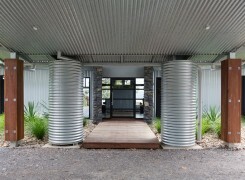 A climate proof, nil maintenance rural residence located on a beautiful site with stunning views. 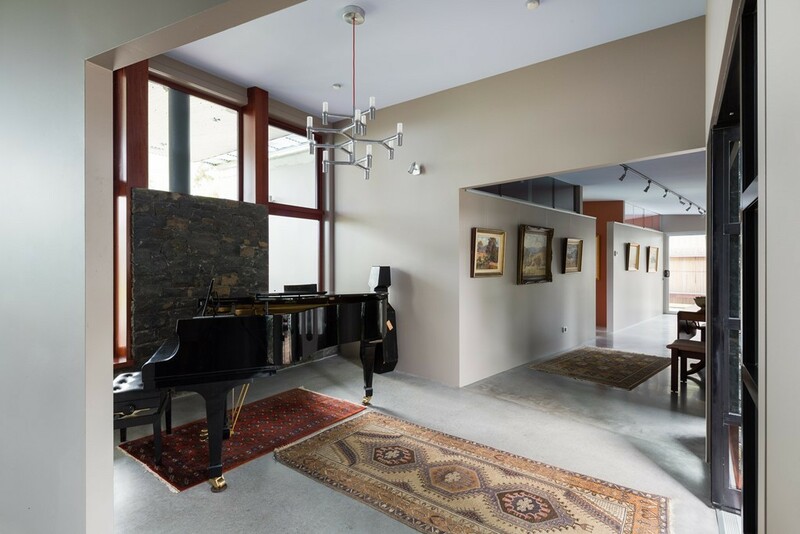 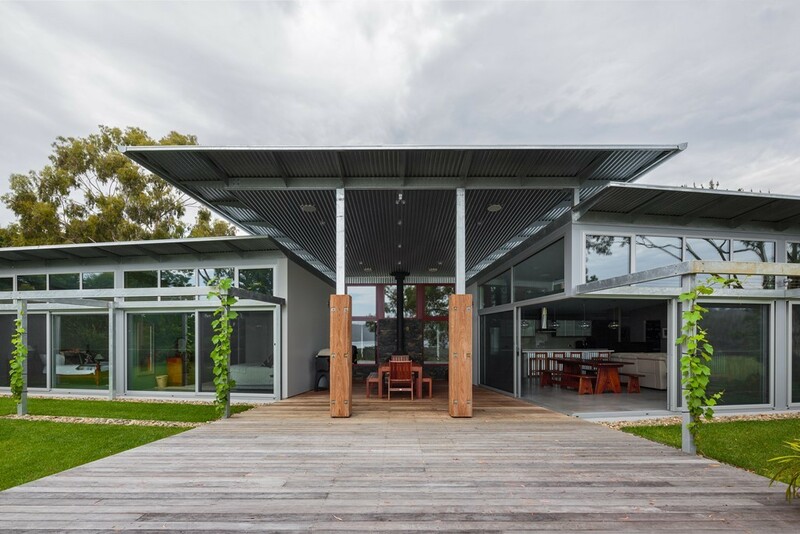 The intergenerational house is a gathering place for family and friends, while maintaining privacy and separation for the owners as well as providing all year round outdoor living. 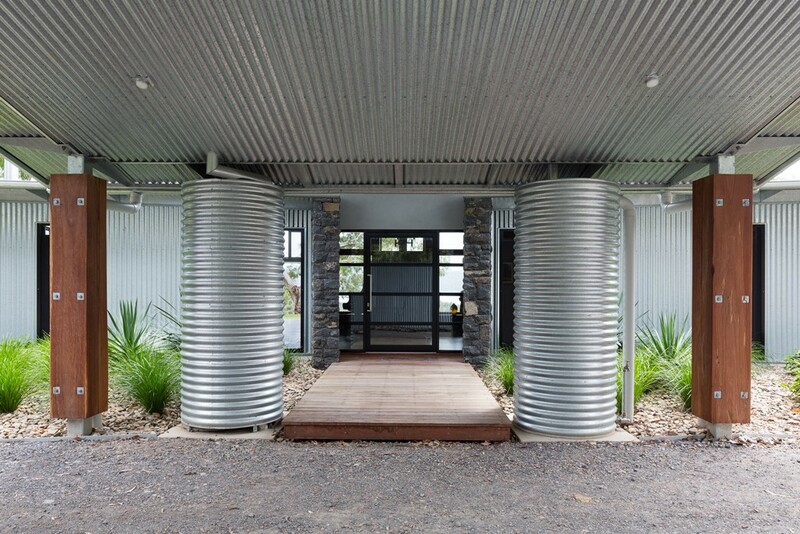 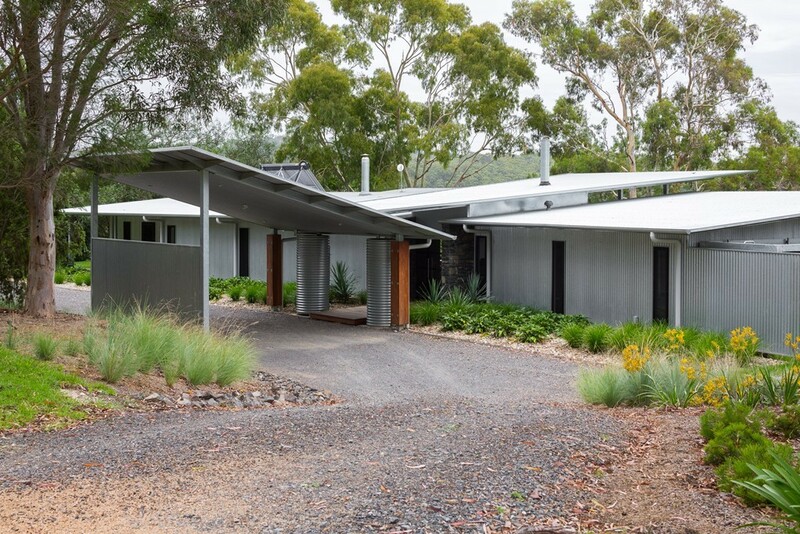 The need for maintenance has been eliminated by using robust materials including hot dipped galvanized steel suitable for coastal conditions, concrete, weathered timber, glass and no external paint. 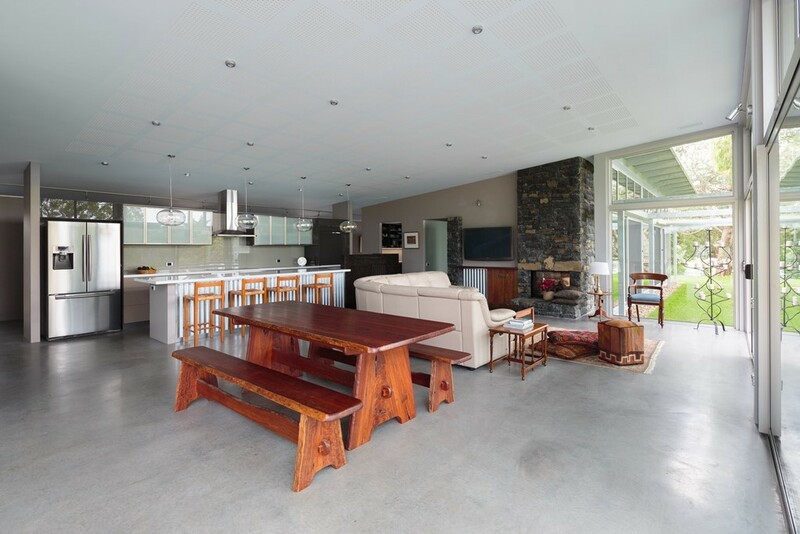 Maintaining a constant temperature all year round, this house needs no heating and no air conditioning. 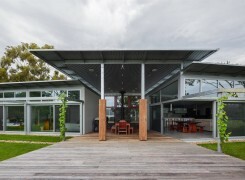 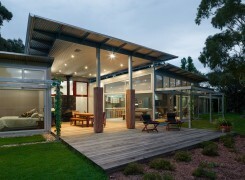 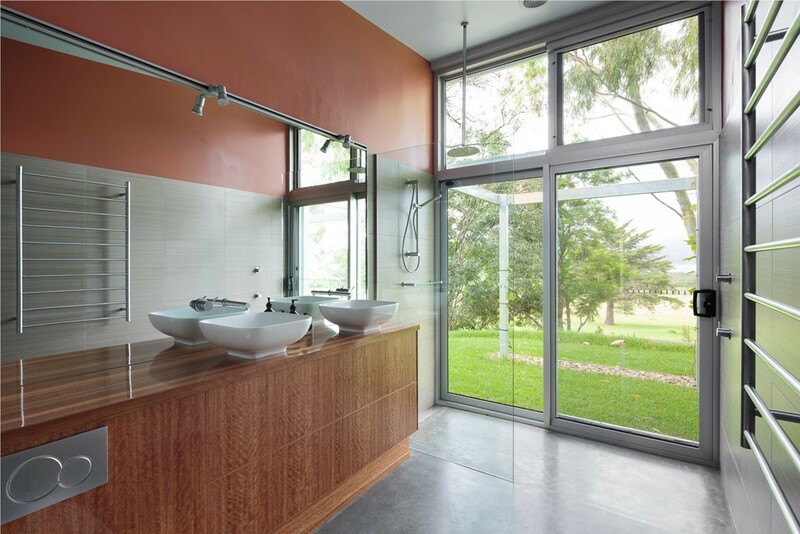 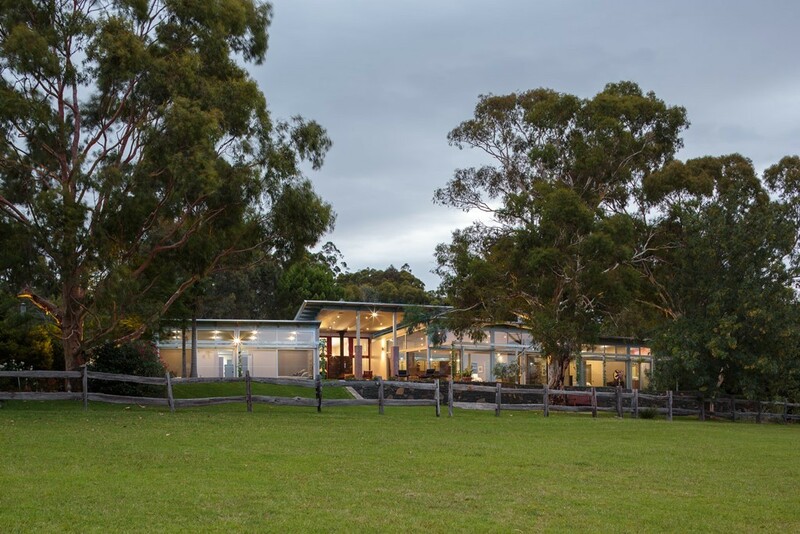 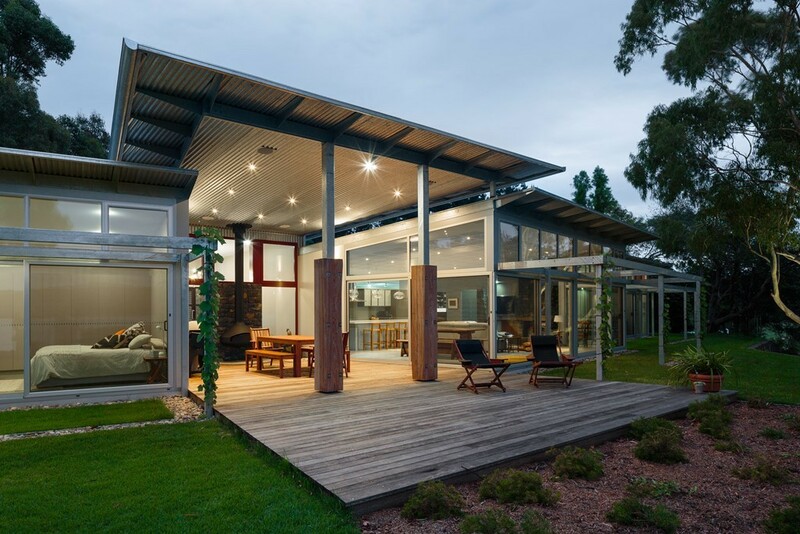 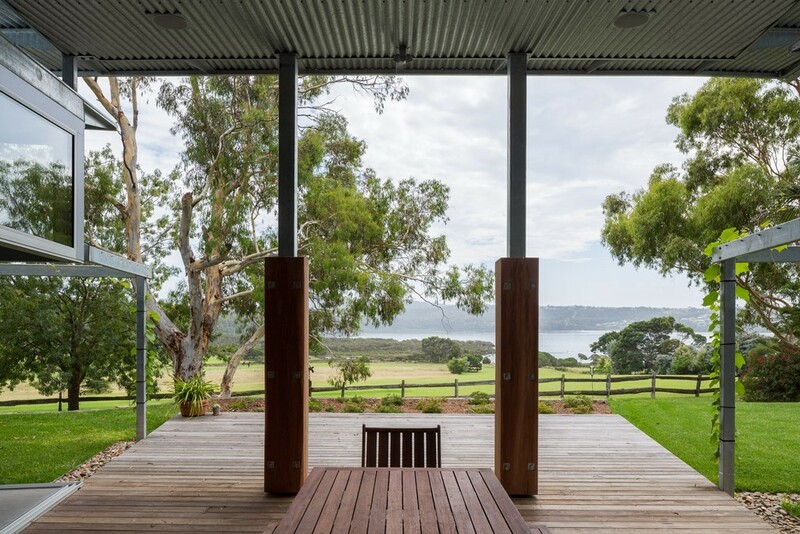 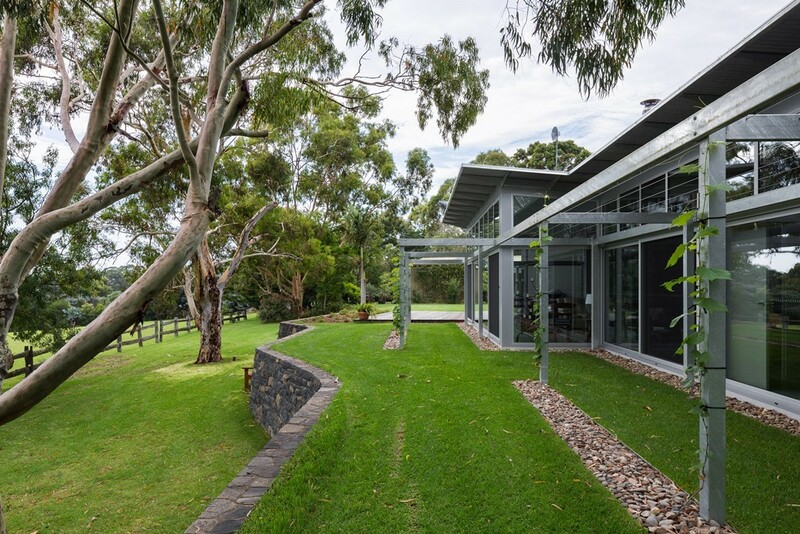 The Merimbula Lake House was nominated for a 2015 Australian Institute of Architects Residential Architecture Award. 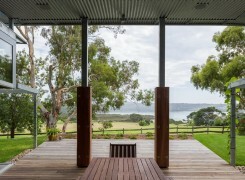 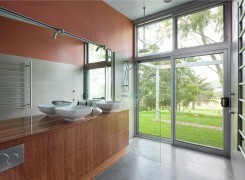 Click here for Testimonials about the Merimbula Lake House.